I remember hearing about a man who was having great difficulties. God was putting him between a rock and a hard place in the hopes he’d humble himself and turn away from a particular sin he battled with. The Rock, of course is God; the hammer is the problem. When the hammer hits what’s between it and the Rock, something has to give, and it won’t be the rock or the hammer. God reminds us that “the Lord disciplines the one he loves, and chastises every son whom he receives” (Hebrews 12:6) and that trials can be a discipline from God, but it’s only a discipline because He loves us so much. If we keep trying to jump in at every opportunity to help someone, we might be interfering with what God’s trying to do. In one case a church member kept praying for her mother’s problems to be solved, but her mother was not saved. So praying for God to solve all of her problems was contrary to His will. He may have been trying to humble her and see her desperate need for God. We can actually interfere with what God’s doing by trying to throw a pillow between the Rock and the hammer, therefore interrupting what God’s trying to do. Similar to what I wrote above, if we keep trying to solve everyone’s problems, we might be interrupting what God’s trying to do in their life. This will also make the person you’re trying to help turn to you for help and not God. They might start depending on you and not God. Years ago our deacon gave a woman some money to help pay her rent, but she was not telling the truth. We later found out she lived with her unmarried boyfriend, and she was seen coming out of a liquor store on the same day our deacon gave her money. Unknown to our deacon, this woman had been going from church to church asking for money. What the other churches (and we) were doing was actually enabling her alcoholism. It’s easy to do that, so pray for discernment before you give someone money who appears to need it. God is trying to shape and mold us into the image of His Son, Jesus Christ. That’s a worthy goal, isn’t it? Along those same lines, the Apostle Paul wrote, “For those whom he foreknew he also predestined to be conformed to the image of his Son, in order that he might be the firstborn among many brothers” (Romans 8:29). In other words, God’s goal was not just to save us but to make us more like His Son. By the time the kingdom arrives, “we shall also bear the image of the man of heaven” (1 Corinthians 15:49). 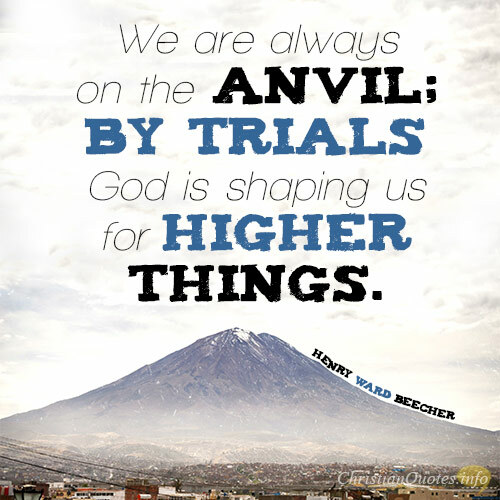 Mr. Beecher is so right that we are always on the anvil and that it is by trials that God is shaping us for higher things, like disciplining us when we need it (and we all do). 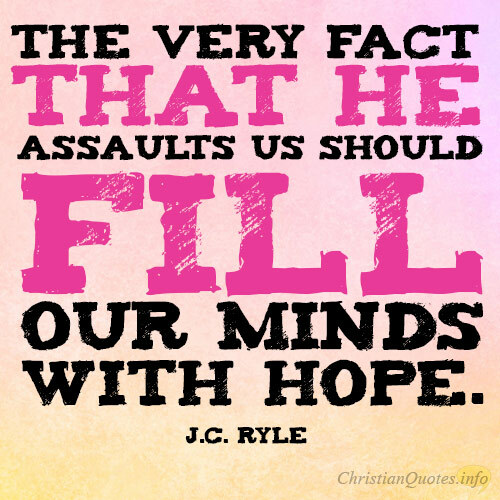 But we must not interfere with what God is doing in others’ lives. 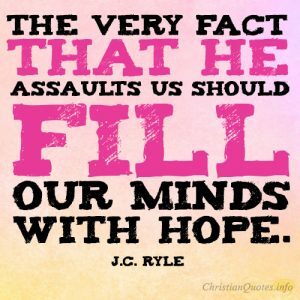 We must not enable others, even if we think we’re helping them, and realize that God’s interested in shaping us, molding us, and conforming us into the image of the Son of God. Don’t you want that?